Property 10: Beautifully decorated, renovated duplex.. Steps to Bay, Short walk to beach. Property 17: Great Ocean Views Private Lane Steps from Beach $3850.00.p/w Must see!!! Walk To The Beach!!! Immaculate First Floor Apt. Property 26: Walk To The Beach!!! Immaculate First Floor Apt. 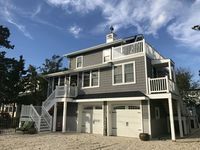 Property 27: LBI - NEWLY RENOVATED Beautiful Brant Beach 3 bd 2 bath w HEATED INGROUND POOL!! Property 29: Ocean side, 2 Floor Condo, 3rd from the Beach with a fenced in Patio! Lagoon Waterfront Family Getaway ! Property 34: Lagoon Waterfront Family Getaway ! Lillie Pads@Harris Harbor, Beach Haven Park, Long Beach Island, N.J.
Property 35: Lillie Pads@Harris Harbor, Beach Haven Park, Long Beach Island, N.J.
Beautiful 1st Floor Duplex 4th of July Week OPEN!! Property 37: Beautiful 1st Floor Duplex 4th of July Week OPEN!! June & August Dates Available! RESERVE TODAY! Property 41: June & August Dates Available! RESERVE TODAY! Property 43: Gorgeous House-Oceanside! Perfect spot for your Summer Vacation! 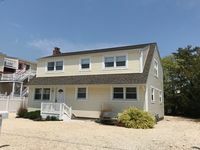 Property 50: Newly Renovated & Raised Cottage 250 Steps To The Beach Walk To Everything! I really liked the apartment although I think it would be difficult to fit more than two people. The Bennett&rsquo;s are very friendly and checked in periodically. I love Long Beach Island though it&rsquo;s very quiet off peak on the week days.. But a great experience overall. Definitely enjoyed my stay at this house! It is very close to the bay and walking distance from the beach. The house was nice, had a second, outdoor shower and washer/dryer. The LBI pancake house and a Pizza place called Joey's is close by and not as crowded as most of the other places further down the island in beach haven. Would definitely return again.